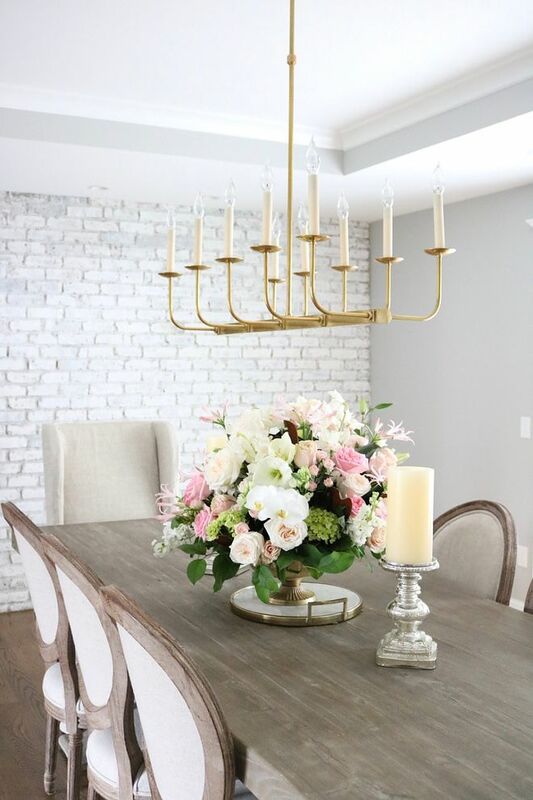 I came across a beautiful, feminine family home of Lindsay Johnson the other day and completely adored her home decor style! 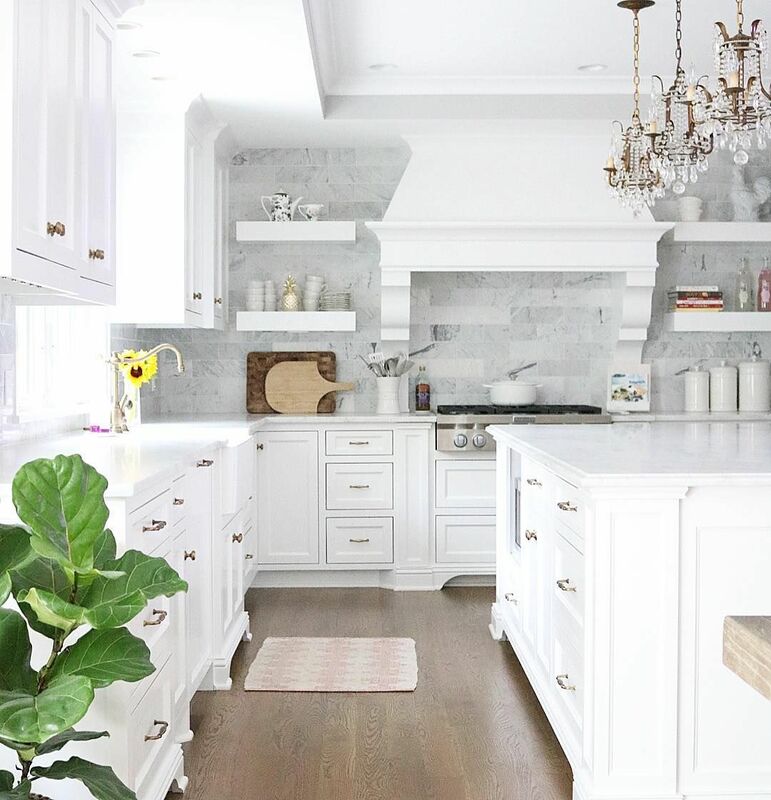 She lives in this Minnesota home with her husband and adorable children. 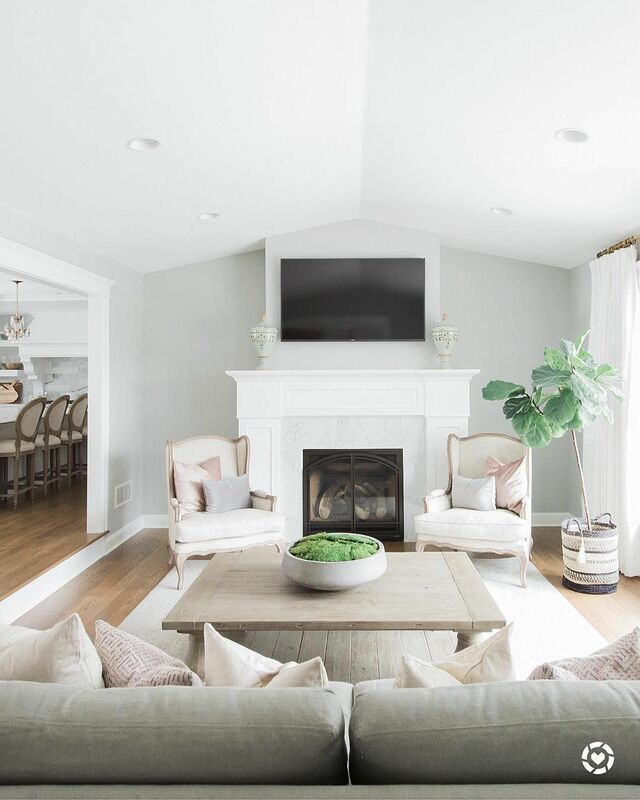 Lindsay’s home color scheme is a lovely mix of pink, gray and white tones with brass accents throughout. 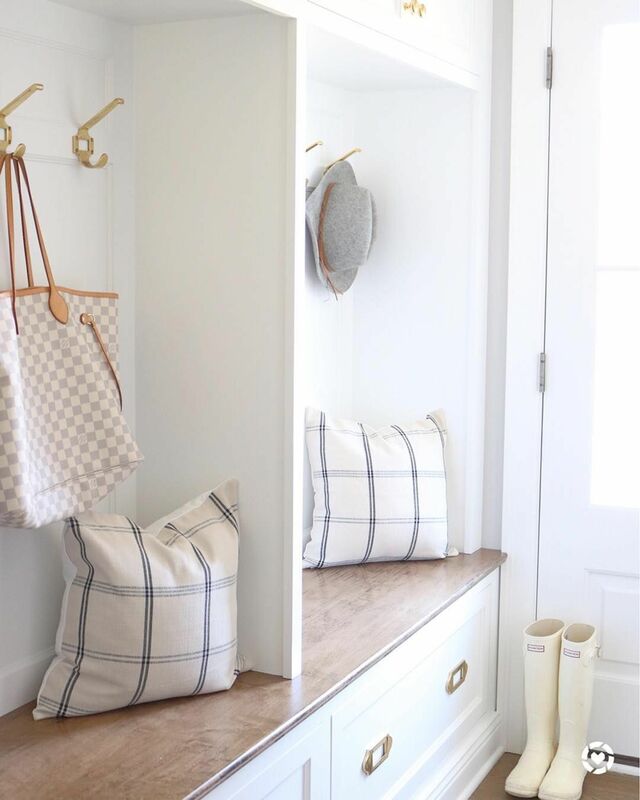 Her style is a combination of modern, feminine and French country farmhouse! 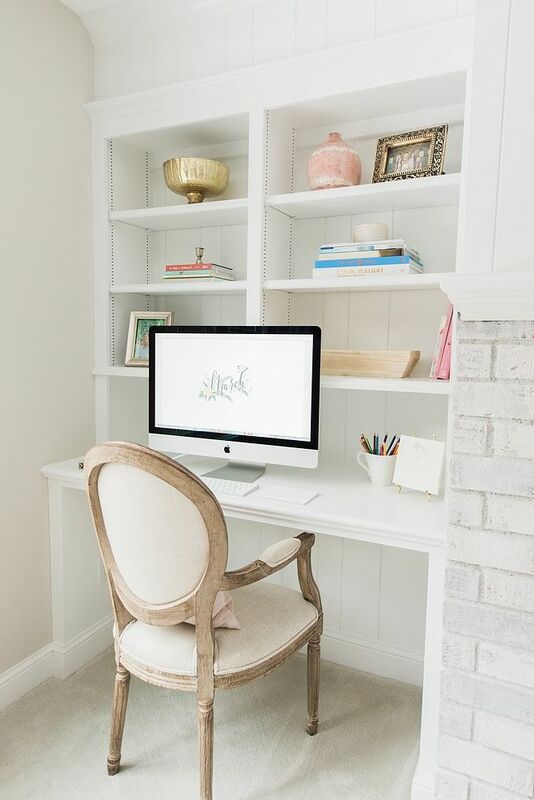 Take a peek at some of my favorite rooms in her home below. 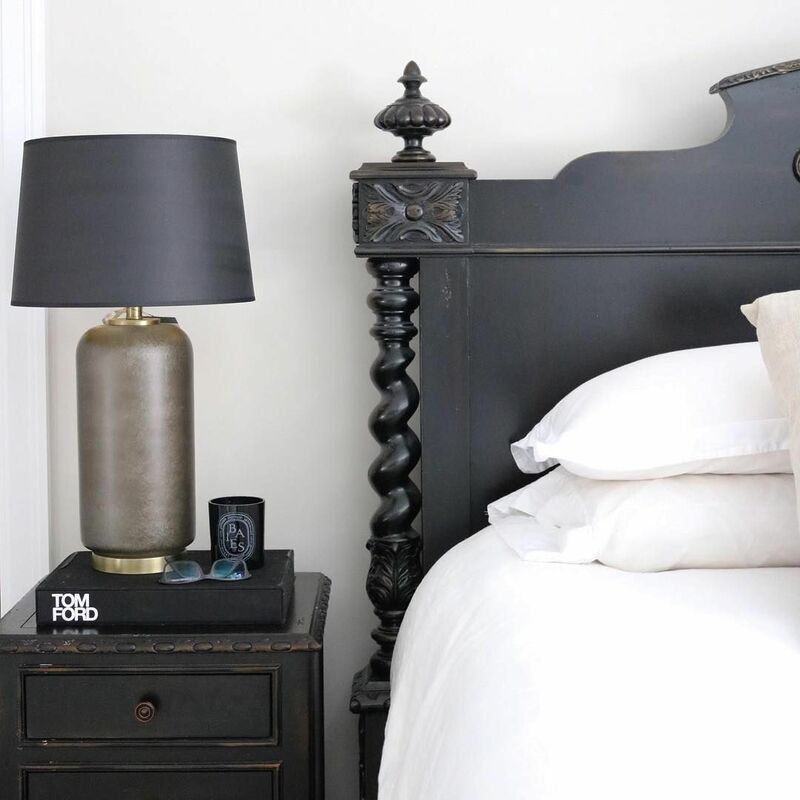 You can follow Lindsay at @lindsayannejohnson and shop her home on Liketoknow.it. 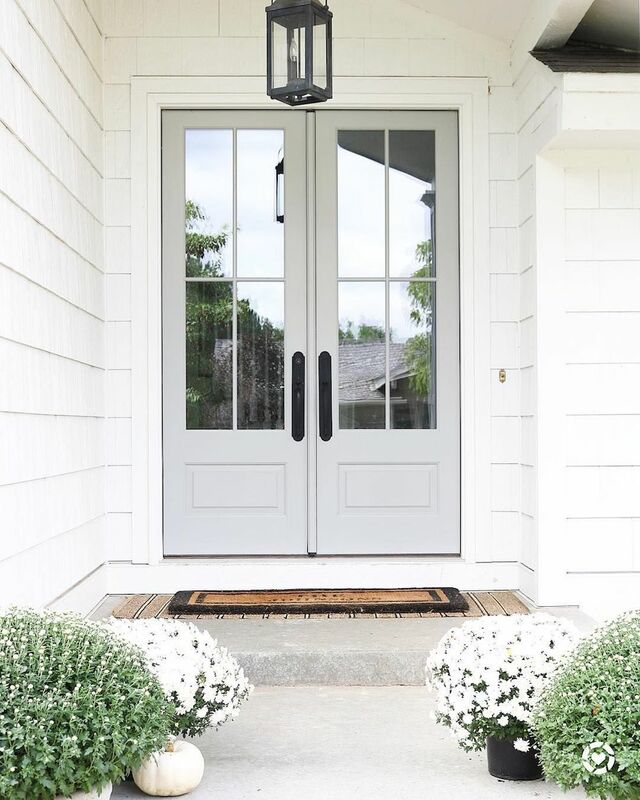 Let’s take a walk through this dream home! 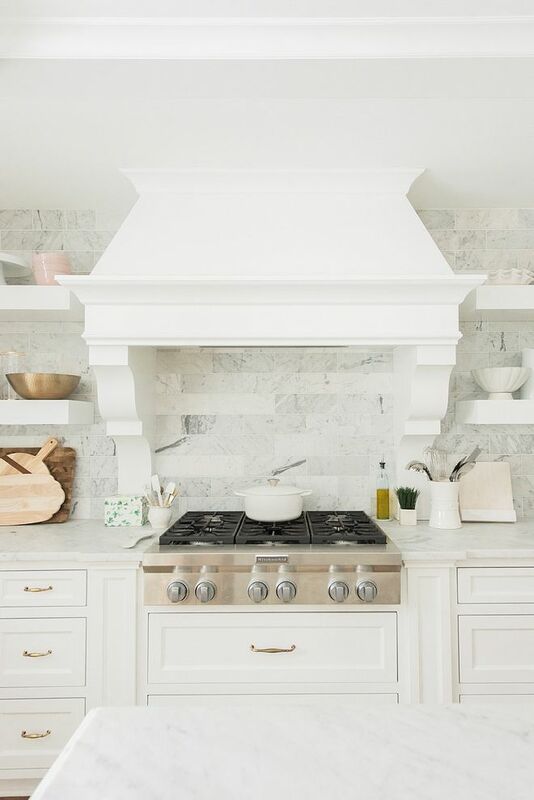 My favorite room in Lindsay’s house where I find the most inspiration is her kitchen! 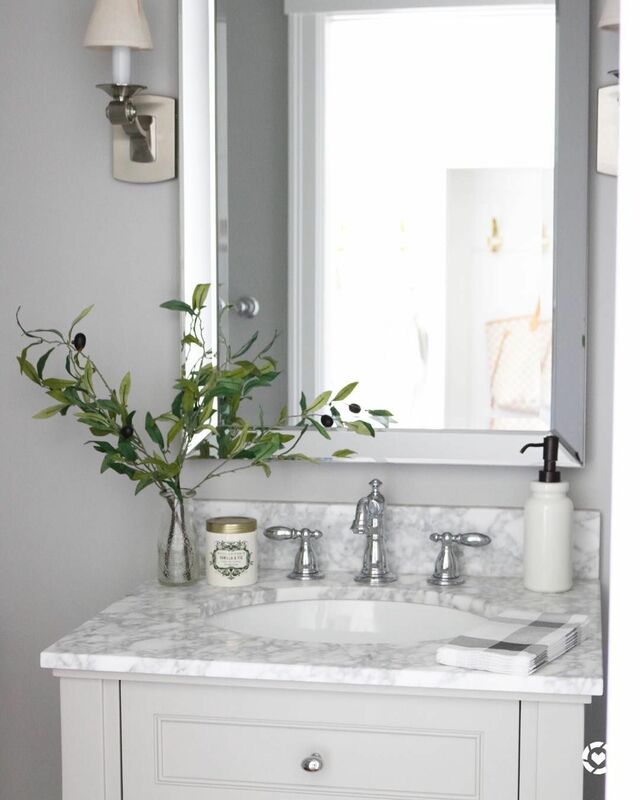 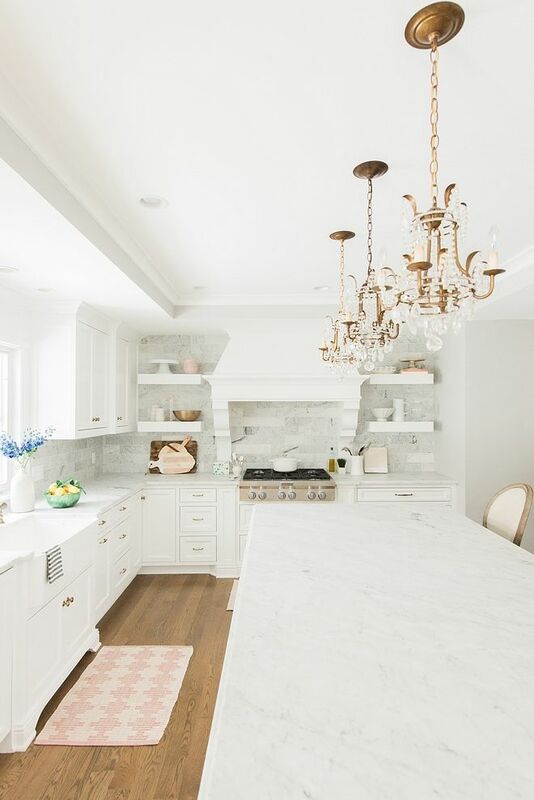 Lindsay installed a beautiful white marble countertop to work on in her kitchen. 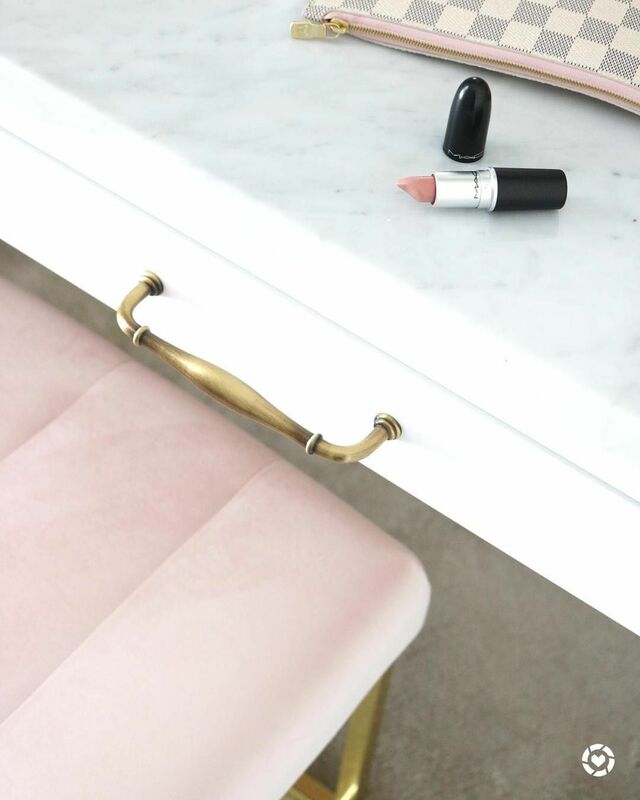 She chose a lovely antique brass finish for her hardware, mainly knobs and handles. 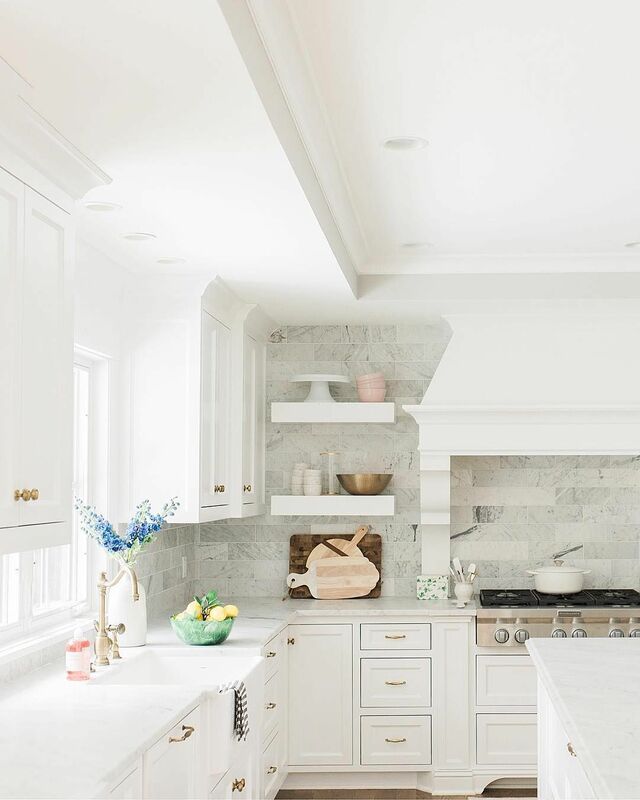 The backsplash was made with a pretty gray-toned marble subway tile. 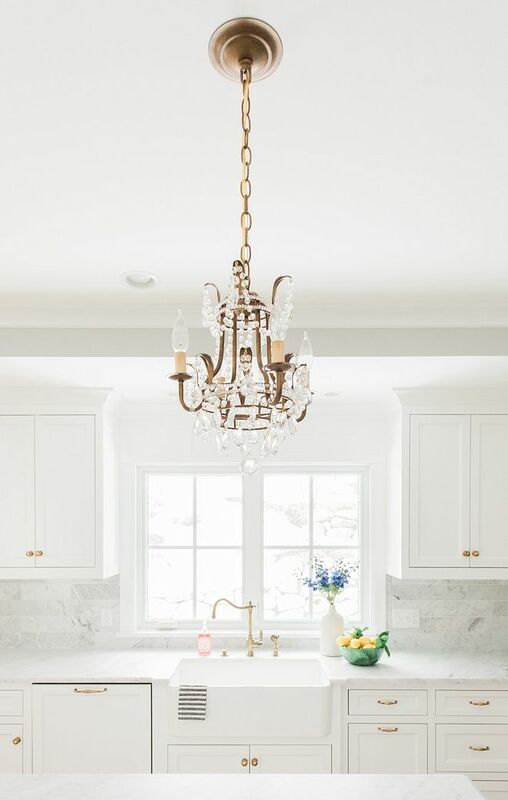 My favorite element of the space is the three brass French crystal chandeliers she hung as pendants above her kitchen island! 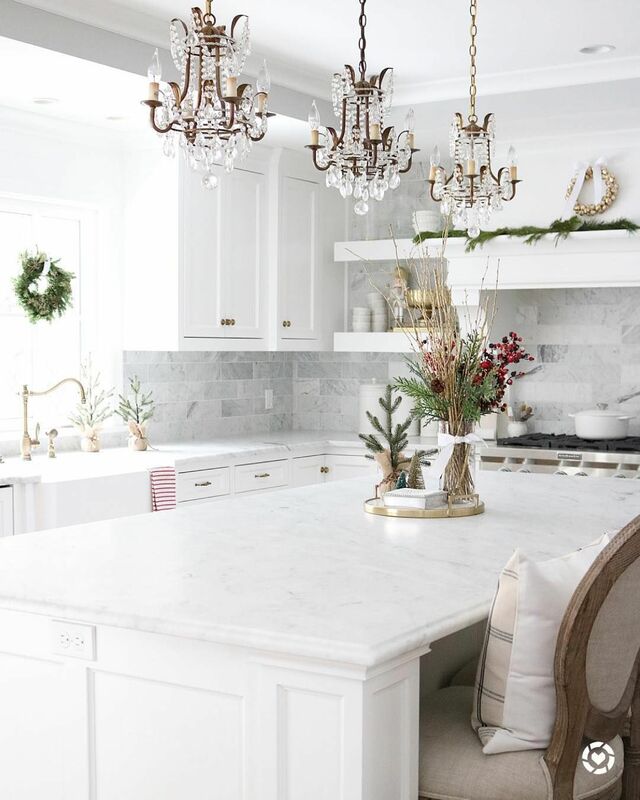 They really give her kitchen a feminine, elegant touch. 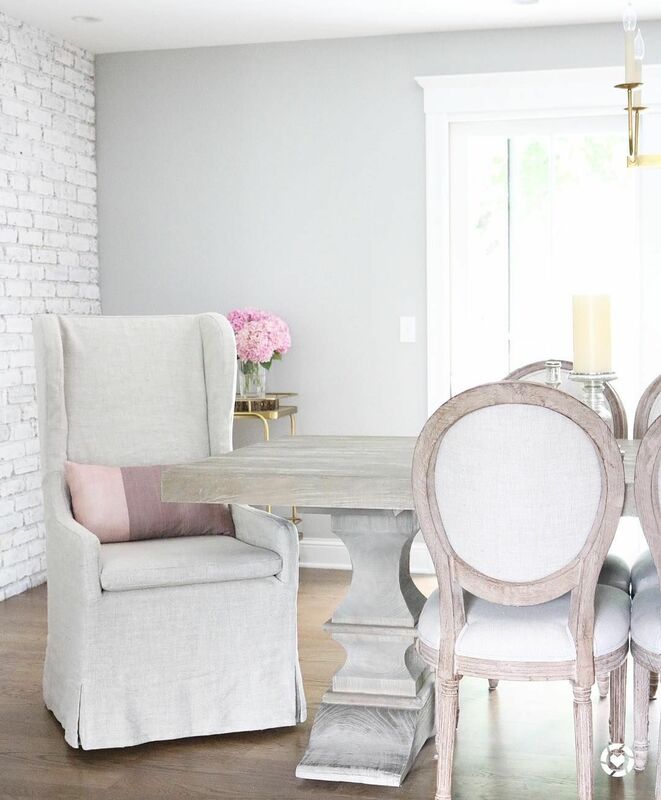 Lindsay went with two slipcover chairs at the heads of the table, and in between, six round back French country dining chairs. 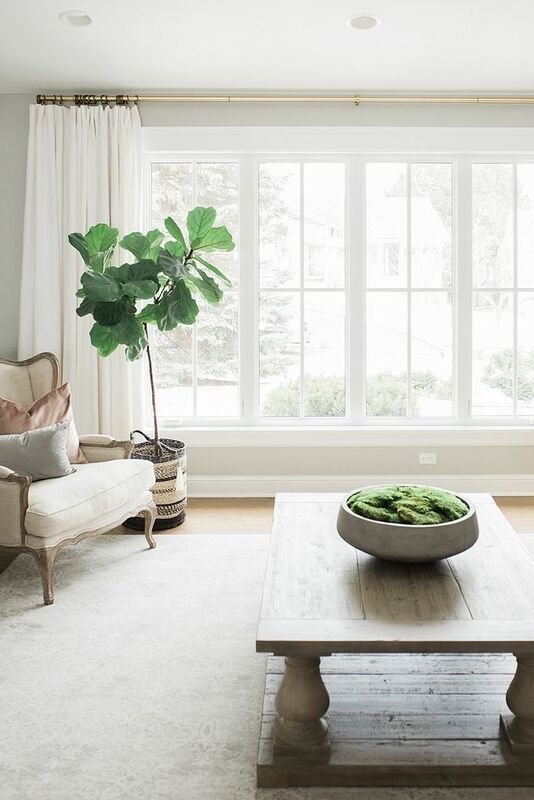 Bergere chairs look lovely in Lindsay’s living room! 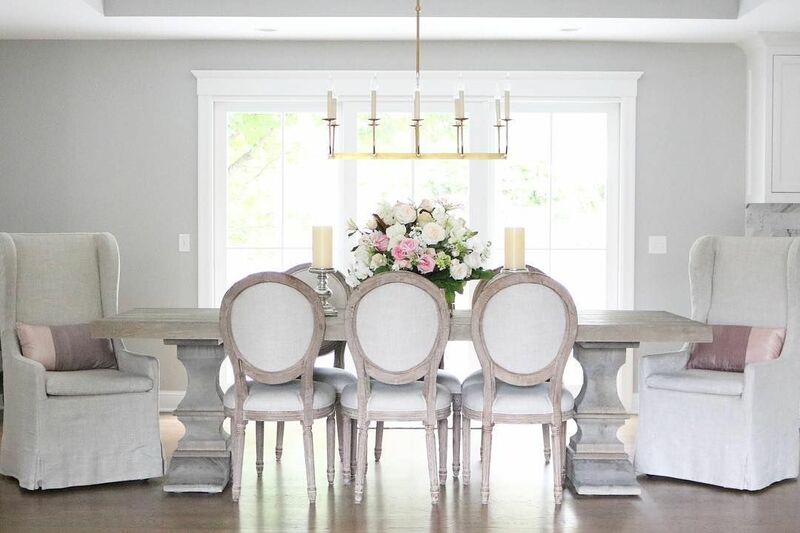 Her farmhouse dining table is to die for, too.